From Buffalo, North Tonawanda, East Aurora, Elma Area--Take Rt. 90 to the East Aurora Expressway (Rt. 400 South). Rt. 400 becomes Rt. 16 South. Continue on Rt. 16 exactly five miles past the light in Franklinville. Make a right (signs posted) on County Rt. 19. Go ½ mile and make a right on Williams Hollow. Take your first left on Cooper Hill Road and follow the signs to the farm. From Rochester, Scio, Hornell Area--Take Interstate 86 West to the Hinsdale Exit. Make a right on 16 North. Go 7.9 miles and make a left on the Five Mile Road (watch for sign) i.e. County Rt. 19. Go 1/2 mile and make a right on Williams Hollow. Take your first left on Cooper Hill Road and follow the signs to the farm. From Ellicottville—Stay on Route 219 North to Great Valley and just past Davis- O'Laughlins Cadillac make a left on Peth Road. Stay on Peth Road past Great Valley Berry Patch to the four corners in Humphrey. Veer right (GPS will say left—disregard) on to Chapel Hill Road— (For non-paved winding country roads—the kind John Denver sang about turn at Childs Blueberry sign and follow signs for 4 miles). For paved road—stay on Chapel Hill Road until it "T's" at County Route 19--The Five Mile Road. Take a left. Your second road on the left is South Cooper Hill Road and you want to turn there. Go 2.5 miles until the road again "T's". Turn left and the farm is .3 miles up. From Allegany, Olean, Portville Area—Go past the Allegany-Limestone Middle/High School on County Rt. 19. You're second left after Chapel Hill Road (also known as Humphrey Hill Road) is South Cooper Hill (signs posted). Go 2.5 miles up on South Cooper and then make a left on Cooper Hill and watch for the farm. From Pittsburgh, Salamanca, Erie, Jamestown—stay on I-86 until exit 24—Allegany. Make a left. Take a right on Chapin Cross Road, take a left on County Rt. 19…follow directions for Allegany, Olean, Portville from here. Note--GPS will suggest you get off in Salamanca--I suggest you do not--wait until Exit 24 and let your GPS take it from there. From Batavia--Take Route 98 south to Route 16. Make a left and enter Franklinville. Continue on Rt. 16 exactly five miles past the light in Franklinville. Make a right (signs posted) on County Rt. 19. Go ½ mile and make a right on Williams Hollow. Take your first left on Cooper Hill Road and watch for the farm. 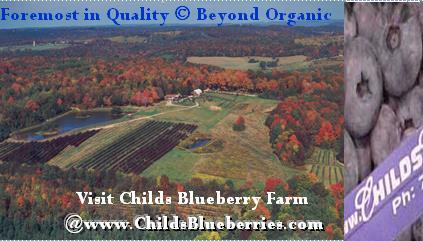 Dan and Carrie Childs welcome you to experience the safest, superbly flavored, pest free blueberries. Too many farms have "extra protein in every bite" pest problems from improper farming practices. At Childs, we do not neglect our fields and are thus, pest-free. It is a matter of honor to not sell inferior products to the public. Our berries are grown in soil never touched by the glaciers @ 2250 feet giving them what our customers call, "the best tasting blueberry flavor-ever!". 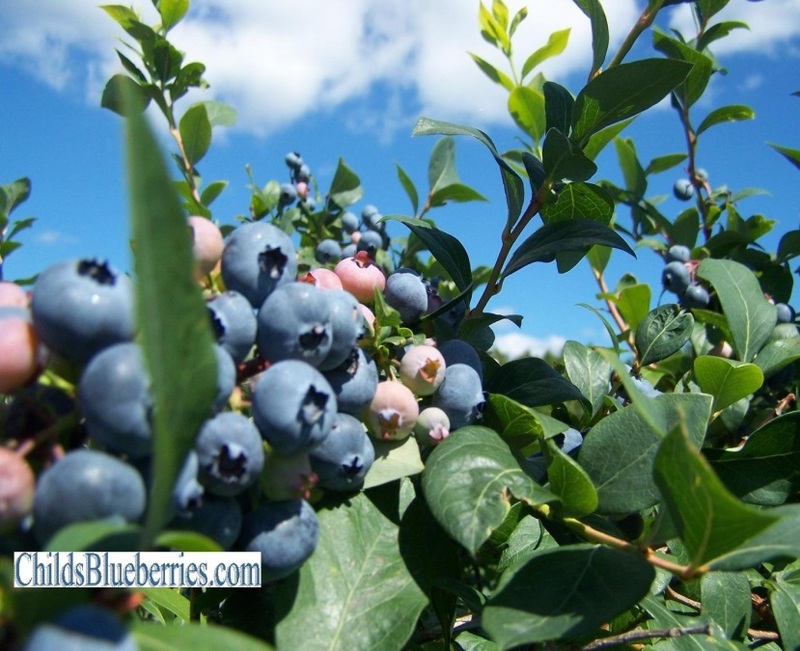 Blueberries grow wild on mountain tops like ours and that is one factor in why these berries taste so good and grow so well plus at the higher elevation, we have few to no mosquitos. You won't find a nicer Blueberry UPICK than Childs. 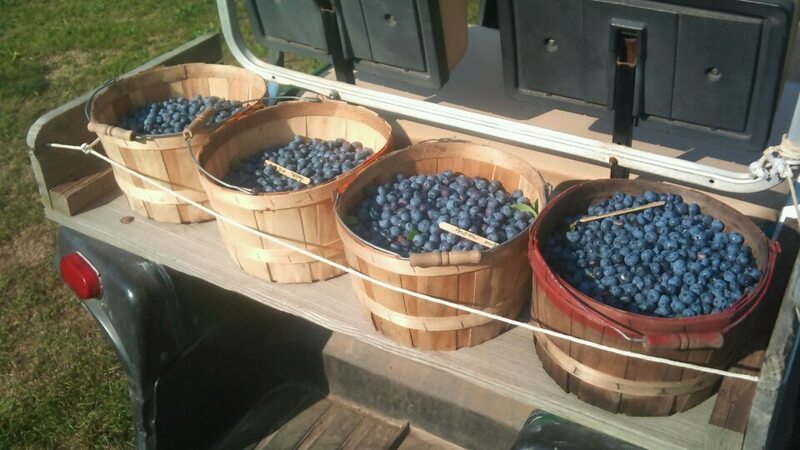 Folks come back year after year, some driving from as far as Ohio and Pittsburgh, to get Childs Blueberries. Click on the Beyond Organic link to learn what sets Childs Blueberries apart as the safest, best tasting, pest-free blueberries! Our fields are manicured like a lawn and clearly marked. The bushes are properly pruned and maintained. The view is beautiful and you can see all the way to the foothills of Appalachia from our highest hill in Humphrey farm. Rows 1-18 are dedicated solely for our "U-Pick" customers. 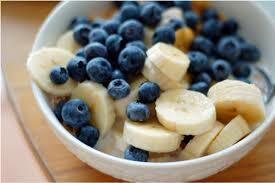 There is a wide range of varieties from big to small berries. Each variety has a unique flavor and texture. Wander around and taste until you find just the variety you like best! Bring beverages, snacks, sunscreen, and containers to transport berries home, bug spray, any medications for bee stings or allergies. We are proud to supply the following establishments, which value our "Foremost in Quality" Childs Blueberries and use them in their products! Google Maps works well from Route 400 out of Buffalo, from Hornell direction or from PA BUT it does not do well from Ellicottville. Disregard Google Maps and use the directions below from EVL. From Jamestown, Use Exit 24--St. Bonaventure and then follow Google Maps from there.